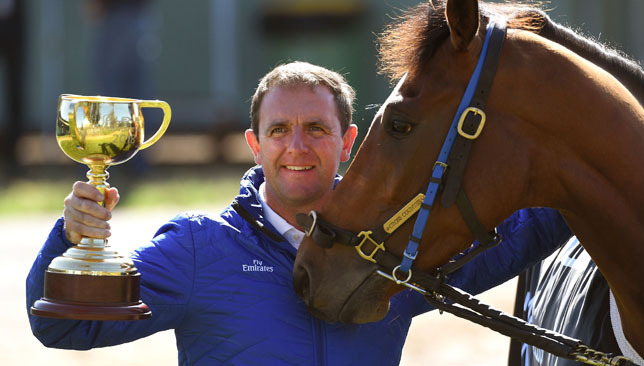 Tally capped off a remarkable season for Godolphin with a superb win in 1800m Eclipse Stakes at Sandown on Saturday. The talented son of Street Cry turned around a lapse in his form to clinch victory in Melbourne with a typically courageous performance. The win was Tally’s eighth in a career that includes G1 placings in the ATC Derby at Randwick and the Turnbull Stakes at Flemington. He also won the G2 Alister Clark Stakes at Moonee Valley as a three-year-old in the autumn of 2016. 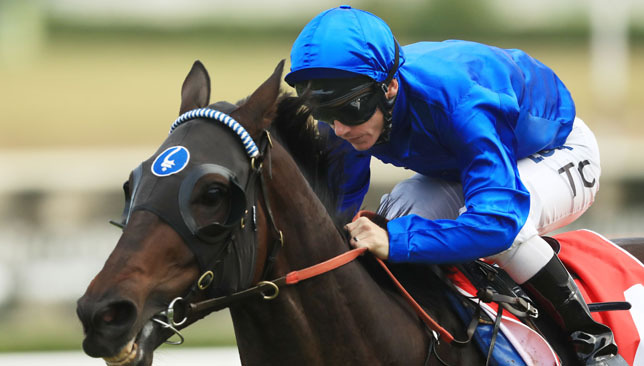 “These horses that have had a number of seasons with us, the team develops a great affinity with them,” said Godolphin racing and bloodstock manager Jason Walsh. Tally also became the 17th individual winner of 19 Stakes races for Godolphin in a spring season that began in September and was highlighted by Cross Counter’s scintillating victory in the G1 Melbourne Cup. The Cup was one of six G1 races won in Australia by the Dubai-based operation over the same period with the Cummings stable collecting two wins (Hartnell and Best Of Days), Saeed bin Suroor recording two victories (Benbatl and Best Solution) and Charlie Appleby clinching wins with Cross Counter and Jungle Cat. Jockey Craig Williams said: “It seemed to make the difference for him, along with this lovely big track, he really enjoyed himself. “He’s got nothing more to prove to us. 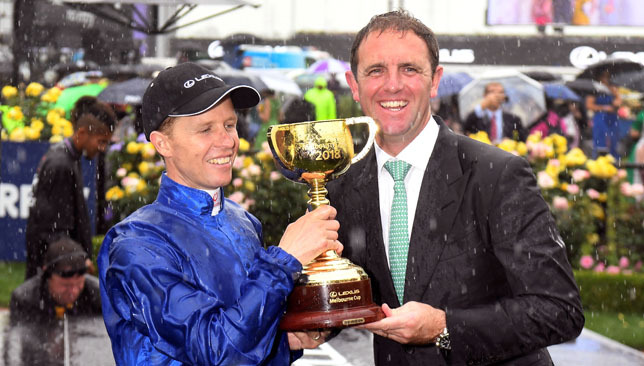 As Cross Counter barrelled down the home straight to win the Melbourne Cup, his explosion of speed could only be matched by Godolphin trainer Charlie Appleby, who amid the cacophony of noise at Flemington, wheeled away in pure delight. It was the first time Godolphin had tasted success in the marquee race they had been chasing since Faithful Son finished seventh way back in 1998. Cross Counter’s triumph ended two decades of frustration for Godolphin at Australia’s richest race and added further lustre to an unforgettable year for Englishman Appleby. The 43-year-old broke new ground earlier this season when Masar became the first horse to carry the famous royal blue colours to victory at the Epsom Derby, adding to his 11 other top-level victories over the last six years. You can imagine after such a prosperous 12 months that Appleby is in euphoric mood. “We’ve tried for over 20 years to win in this race and to do it is a huge sense of achievement, but most importantly it shows the passion and the drive Sheikh Mohammed and Godolphin have,” he said. 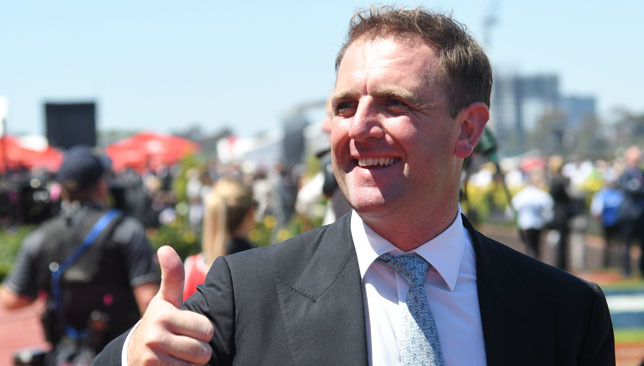 “I’m just in a fortunate position to have the horses to make the call on which are the right ones to bring down here. 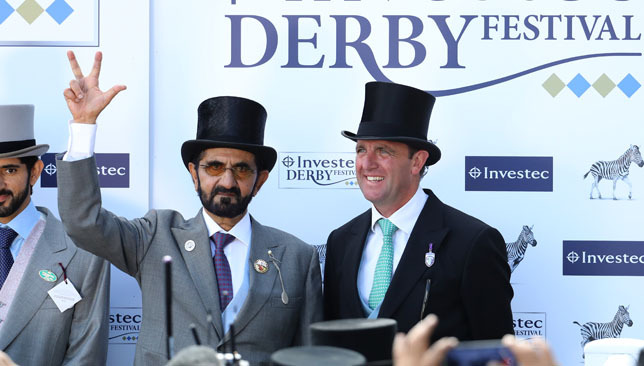 One of Sheikh Mohammed bin Rashid Al Maktoum’s visions is to always look forward, and now Appleby has his sights set on the Kentucky Derby next May, one of the few iconic races the stable has not yet tasted success in. “My ambitions are to carry on and to try to be successful and do the best we can for Godolphin and Sheikh Mohammed and have international winners,” said Appleby. “Thankfully this year we have been very successful. We don’t want to rest on our laurels at the highest level of this sport. We’ll keep striving every year to be competitive on the international stage. For all of Godolphin’s success in 2018, the Epsom Derby remains the finest achievement of Appleby’s racing career. It was the victory Sheikh Mohammed had craved for a long time and in July, they achieved the crowning moment with Masar. Ridden by William Buick, the three-year-old surged to victory by one and a half lengths to seal an elusive win in a race they finished second in on three occasions – with City Honours in 1998, Rule of Law in 2004 and Jack Hobbs in 2015. “What Masar did in the Craven (Stakes) was very impressive, winning by ten lengths in a very good time. William (Buck) said afterwards that he couldn’t wait to step the horse up,” the Southampton native said. “We had discussions with Sheikh Mohammed. We decided we were going to bypass the Dante and go straight for the Derby. It’s sometimes a nice stepping stone to the Derby. We knew the horse was in very good form. “The race at Epsom was clean. William had him in a perfect position throughout and the rest is history. It was surreal. The Godolphin blue is so important in Dubai and to have the first winner is a very special day. “It will always go down in history as the finest moment of my training career for sure. Not only just because it’s a Derby but as an Englishman and on home ground. It is a supreme test for any three-year-old colt and just to have one of the early classics. Masar aptly translates into ‘journey’ and there is no doubt every successful organisation has its bumps along its way to success. After years of heartbreak and near misses, it all finally came to fruition when in March Appleby landed three Group 1 prizes on Dubai World Cup night. This was followed by Blue Point’s scintillating win at Royal Ascot in June, La Pelosa and Jungle Cat’s wins in September, and Line of Duty’s victory in the Breeders’ Cup Juvenile Turf last month. “It’s been a stellar year. Right from the (World Cup) Carnival and the Dubai World Cup,” he said. “I got two winners there and Saeed (bin Suroor, Godolphin trainer) won two as well, including the Dubai World Cup. It’s been a good year for Godolphin. “But as we all know the European season is our main target. We started well and had six winners at the Craven (Stakes) meeting, then we went to the Guinness meeting and had five winners. “At any sport at the highest level there is a certain bit of pressure, even if it’s from the public. People expect Godolphin to be at the forefront of these races. Saeed bin Suroor is the leading light when it comes to winning Dubai World Cups, steering a record eight horses to victory at Meydan Racecourse, including African Story in 2014, Prince Bishop in 2015 and a rampant Thunder Snow earlier this year. 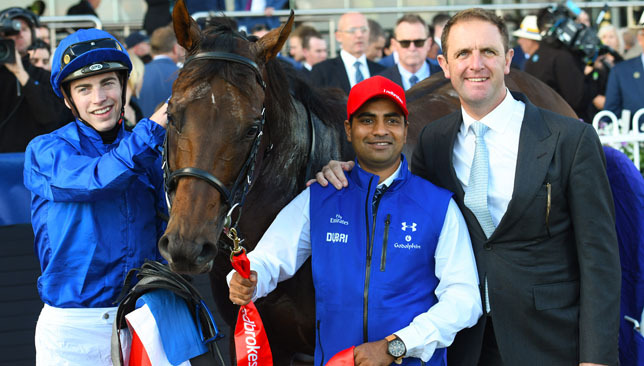 And with the carnival season in full flow, Appleby will be hoping to fulfil his dream of one day emulating fellow trainer Suroor by winning the Dubai World Cup on Sheikh Mohammed’s home territory. Still, for all the optimism with his recent triumphs, it remains too early to predict what young horse might be in with a chance of challenging for the ultimate prize come next March. “Saeed is very good at winning them (Dubai World Cup), so I normally have to play second fiddle,” he said laughing. “As always, horses will progress throughout the carnival. Right now, I’m not sure, one might progress throughout the winter. If there’s a horse there that can win it or be competitive, I’ll be there. We’ll cross those bridges through the winter. “We have Key Victory who is an exciting horse. Loxley is coming over too. He’ll be a class horse. He’s a Group 2 winner over the mile and a half. He’s getting stronger by the day. “Blue Point will be back out too. He came back there and went on to win a King Stand. He’s a top level sprinter. 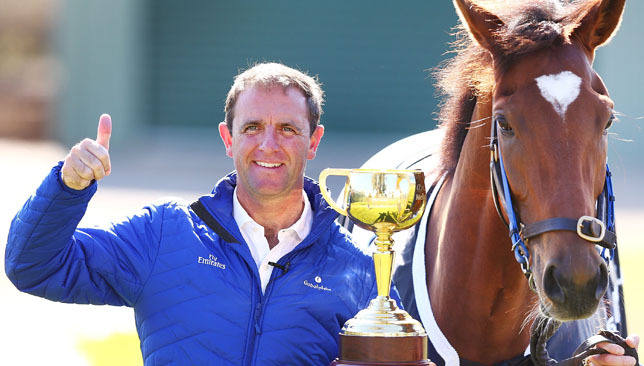 Charlie Appleby has his sights set on the Kentucky Derby after giving Godolphin their first Melbourne Cup triumph with Cross Counter on Tuesday. It was the second time this year the Newmarket trainer had broken new ground for Sheikh Mohammed’s operation after Masar became the first horse to carry the famous royal blue colours to victory in the Derby at Epsom in June. “My ambitions are to carry on and to try to be successful and do the best we can for Godolphin and his Highness Sheikh Mohammed and having international winners,” said Appleby. “Every time we do that I feel that’s a sense of achievement. “To do that you have to have the momentum going. On January 1st we start at zero again. We’ve got to build away. We’ve given ourselves a bit of a path to maintain, let alone go above. “As an Englishmen our pinnacle is the Derby. It had never been won in Godolphin blue colours. That is always going to go down as the most memorable day of my career, but to come here and do what we’ve done and see what it means to everybody and to Sheikh Mohammed is great.